Outdoor lighting is one of the most transformative and cost-efficient ways to beautify your home. Landscape lighting can highlight a portion of your yard or a centerpiece such as a tree, a fountain, or the main entrance. Outdoor lighting can also add security. The possibilities are limitless. Markey Electric and Solar offer outdoor lighting installation for the areas of Los Angeles, Burbank, Glendale, and beyond. Outdoor lighting installation projects can be fascinating. It’s a way for you to bring out the best features of your yard and create a whole new atmosphere that your family and friends can enjoy. Outdoor lighting can capture certain parts of your home, such as a pool, a garden, an entrance, a deck, and much more. It can work almost anywhere and create a vibrant but relaxing ambiance. We are lucky to live in Southern California where our mild temperatures mean that we can spend plenty of time outdoors, even in the middle of winter. Therefore, it only makes sense for you to invest in outdoor lighting installation to make the best use of your outdoor spaces while adding value to your home. Outdoor lighting can be energy efficient when you use LED light fixtures. LED lights consume less energy than traditional forms of lighting. At Markey Electric and Solar, we are experts with installing LED lighting for indoors and outdoors. If you are considering installing landscape lighting, you probably have a vision for what you’d like your outdoor space to look like. Let our experienced electricians bring that vision to life. We handle every phase of the project and don’t overlook the smallest details. There are many options and considerations when it comes to outdoor lighting. We help you navigate through them all in the most convenient way possible. Markey Electric and Solar will make sure that your lighting does not interfere in areas where it shouldn’t, such as the street or your neighbor’s home. We also provide you with different outdoor lighting options such as motion sensors, timers, and other devices to make your experience more convenient. When it comes to outdoor lighting, our electricians are professional, knowledgeable, and courteous. We provide unbeatable customer service, clean up after ourselves when the job is done, and are always willing to go the extra mile for our customers. 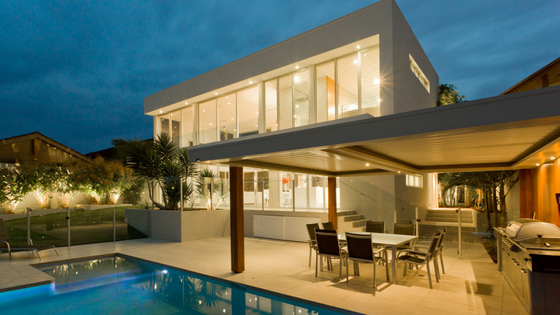 Are you considering outdoor lighting for your home? Contact us today.